International Drive’s growth continues by the day and it’s pretty exciting to see here in Orlando! Most recently, The Orlando Eye, a 400-foot observation wheel, was completed. 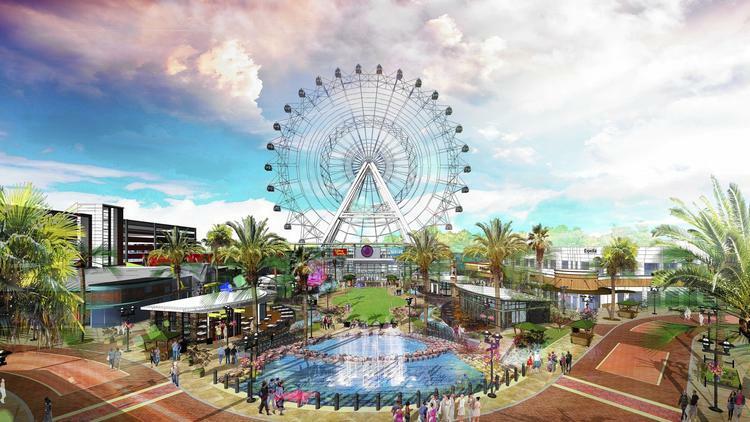 This new huge visual will be located at the I-Drive 360 complex and will begin operation in Spring 2015. Included in the same complex will be a Madame Tussauds wax museum. I’m not sure if you’ve been to one before, but they are just a really fun thing to do with friends and family. I once took a picture with Arnold Schwarzenegger… thank goodness for spellcheck! This being said… Orlando is growing and giving people all the more reason to visit. Orlando is the Top Vacation Travel Destination and it doesn’t look like that is letting up. Now is the time to plan your family’s next visit. Global Resort Homes featured beautiful homes located in the heart of the attraction areas. Visit our website today and start planning your next Orlando Vacation!